When Ottawa Race Weekend organizers needed someone to provide accurate results for the thousands of runners expected this May, they didn’t have to go far. 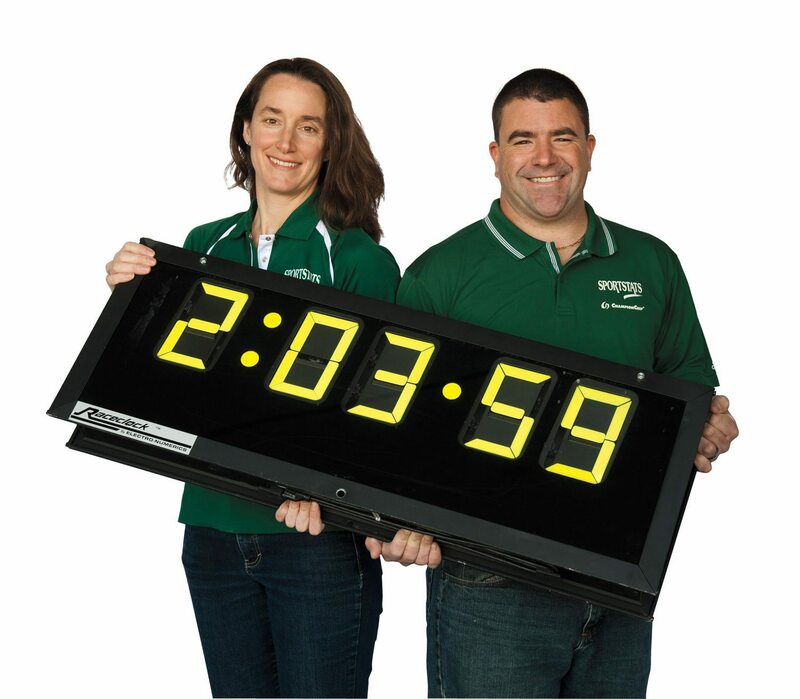 They called on Sportstats, a local company owned by Isabelle Fradette and Marc Roy that times some of the biggest marathons in Canada, all Ironman races in Canada, and many international events, including the World Ironman Championships in Hawaii. Since purchasing the company in 1995, the couple has timed close to 11,000 races, raised three children, and built Sportstats into one of the largest and most successful timing companies in the world. Every year you time hundreds of races. What’s unique about Ottawa Race Weekend? It’s the biggest running race we work on. The second biggest is the Honolulu marathon. The race weekend is also in our own backyard. Our staff love working this race — they get to see a huge, exciting event up close. How has your role on race weekend changed over the years? What has changed is the range of services we provide and the speed with which we can produce live updates and results. Fifteen years ago we just showed up, timed the race, and did some data entry. Now we also handle registration through www.sportstats.ca [owned by Sportstats], so much of our work happens in advance of race day. In the early years, the hardest part was organizing chutes at the finish line to capture runners’ finishing times manually. Computer-chip timing was introduced for the 1998 race. We bought the timing mats and all the other electronic equipment, but we rented the reusable timing chips from ChampionChip, so we had to stop runners at the finish to collect their chips. Last year we moved to a disposable chip for the first time, so there can be a wide-open chute at the finish line. What new services are you offering this year? Participants are comfortable with technology, and they’re hungry for information. We’re offering several new services to meet these demands, but the one we’re most excited about is our Facebook application. Registered runners can sign up for this free service, which will allow us to post updates on their Facebook page during the race. Friends will be able to follow a runner’s progress online. What growing pains have you experienced timing this race, and what aspects continue to pose a challenge? Our biggest challenge is to produce the race kits in just a few weeks while also working on other races. We have five full-time and 25 part-time staff, but it takes 400 hours to assemble 40,000 kits, and this doesn’t include assigning race numbers, building the registrant database, or printing the personalized, colour-coded bibs. We have to put on a real push to get ready — but we love the challenge. As leaders in the timing industry, what do you think will be the next big timing innovation? The most recent great innovation has been disposable chips that work. Next, we’d like to see Global Positioning System (GPS) technology tracking every runner on the course. Many athletes wear watches with GPS functions, but there’s no way to send the data directly to a central location. Every GPS unit, which currently costs between $100 and $300, would need a means of transmitting data in the same way cellphone users pay a monthly fee for data transmission. Right now the costs of the unit and transmission are prohibitive, so although this might be the next big improvement in race timing, we think it’s still a long way off.